Understanding link weight, topical relevance and the power of optimizing internal and external links is a crucial component of SEO. Assessing how and why a site occupies multiple top 10 positions is not difficult to determine, if you know how and where to look. In fact, you can essentially assess how and why a site is ranking for a number of phrases from (1) analysis of the site structure (2) the links, both internal and external (3) the age of the domain (4) the amount of topical information on the subject, and (5) the degree of authority the site has developed as a result of momentum and search engine trust. 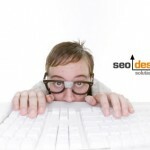 1) Determine how many pages are indexed. A simple site:addsitename.com search command will do. 2) Determine how many pages (out the total number of indexed pages) are indexed with a particular keyword using this command in Google, or Yahoo site:addsitename.com keyword to research. If the site is 1000 pages and there are 800 that have the phrase present, then that is an 80% saturation for the phrase. 3) Determine if the pages are internally linked properly, from results from #2, how many of those pages are augmenting each other and if so, how and what keywords are linking them together. The top 10 results will suffice. It stands to reason that in order to rank for a term, the ratio of the keyword can determine how relevant a result is returned. 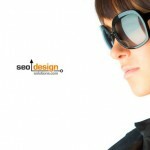 Which do you think search engines prefer, a site with 10 pages on a topic or a site with 50 pages on a topic? By linking to your own pages from other pages in your site that have tremendous link weight (like a homepage or the homepage of a blog), then you clearly send a signal to search engines that that phrase or group of semantically related material is a predominant theme on your site. This is enough to warrant further consideration from both human visitors and search engine spiders about the basis of the site theme. Internal linking – Is there a clearly defined champion, or is each page like a pawn getting sacked in Chess without an overall goal in the optimization strategy. Choose a champion with your internal links. Just like you can augment a pawn with another pawn and literally lock down the board in a game of chess using pawns in tandem. 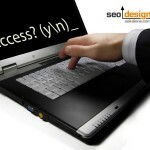 The same exists if you understand the importance of internal linking. It is possible (aside from standard navigation) to use text links internally to augment unique attributes of each of the topical pages to serve a greater goal. If you wanted to wait for the correlations to evolve over time before the started to pass link weight, that is one thing, but why wait when you can aid evolution of the site organically through giving search engine spiders something they can sink their teeth into. Remember in the first step, we assessed the number of pages, in step two you determined how many pages were indexed with a specific keyword using a simple search command. Now put that information to good use, after you have your results from number two, select the most appropriate landing page give it the endorsement from internal one way links. Simply create links from each of the top 10 results to the selected landing page using keyword rich text that searchers would use to find that page. If you are looking for the most searched terms, then you could use Google Adwords keyword suggestion tool or traditional keyword research tools. Link Weight – Now that your have selected the most relevant page, perform a link analysis and determine the quality and quantity of links required externally to create and upwardly mobile page in the SERPs (search engine result pages). One quick way to assess this is to perform a search for the main keyword, look at the first search result (that is not a homepage) typically your will see homepage/keyword-rich-naming-convention.html, then look for two things the number of backlinks to that page externally (using yahoo) as well as how many links internally from other supporting pages. 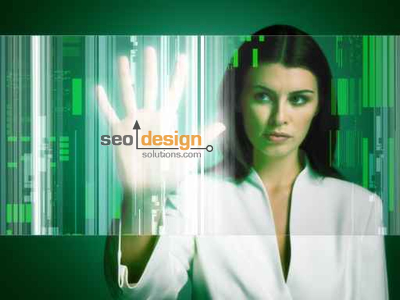 You must note that, a page can rank highly as a result of internal or external links or a combination of both. If the pages are light (2-3 links) build links to your links with link insurance (build links to the top 10 supporting pages to add velocity and authority to the new landing page) as well as add 5 fresh links to the landing page to encourage spider activity. 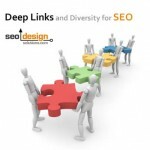 Deep Link / Page Link Ratio – Finding the ratios and percentages of saturation, link popularity and site structure can shed light on why that pages ranks the way it does. Sometimes, all you need are a dozen links from external sites to break out from having a strong page on your own site and appear as a top ranking search result for multiple keywords on the topic. So, in essence a page can rank highly as a result of the quality of links per page and how many related pages are themed and interlinked with solid anchor text. So, the next time you are curios why a competitor ranks so well for a phrase, look at the number of pages they have indexed on the topic and the number of links pointing at those respective pages (the top 5 should suffice) to gain a better understanding of their optimization strategy. There are one of two strategies they are more than likely utilizing. The first is, to have a site based solely around those keywords with a lower threshold for optimization due to a concise number of pages or your could create an authority site with various interrelated topics (that all support each other holistically). Sites with under 30 pages are ideal for the first strategy, sites with hundreds or thousands of pages are often using the second and most prominent “content ranking strategy”, which by far is the most difficult to overcome. The more relevant pages with links, the more authority a site garners. As those links age over time, they can create a challenge for a seasoned SEO to overcome, however there are other tactics one can utilize in such circumstances to overcome insurmountable odds. It is not always this easy (using a quantitative approach), but until you drill deeper into their content, links and structure you never know, so it is a great starting point for initial research. Internal Links – Are You Making the Most of Yours? I just launched a website for my company about 1 month ago. How long does it take before the spiders lend credence to the webpages based on its age? 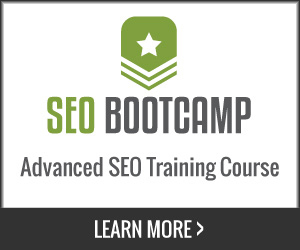 Assuming all basic SEO options are also done correctly. Now, if I could only get my link on yahoo.com, then life would be good!